Mark Wahlberg took the advertising world by storm in 1992, thanks to his provocative, indelible Calvin Klein underwear campaign, which was shot by the late Herb Ritts. 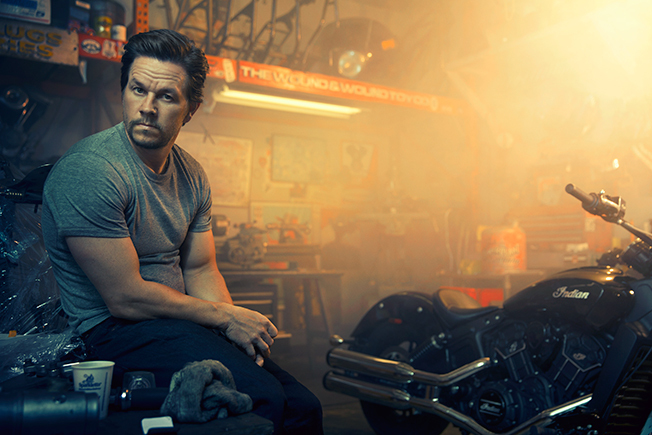 He's been surprising us ever since, transitioning from Marky Mark, the rapper behind the '90s hit "Good Vibrations," to one of Hollywood's biggest stars, thanks to films like Boogie Nights, Ted, Transformers: Age of Extinction and The Departed (which landed him an Oscar nomination). A decade ago, he made yet another bold pivot, branching into producing projects for both television (HBO's Entourage, which was based on his life, as well as the premium cable channel's series Boardwalk Empire and Ballers) and film (Lone Survivor, The Fighter and Patriots Day, his forthcoming drama about the Boston Marathon bombing). Mark Wahlberg: We had already done Alma Nove (named for their mother, Alma), which was a big success, and I was grateful I was I able to help [my brother] Paul see that dream come to reality. But once he mentioned the idea of Wahlburgers, I said, "Are you out of your mind?" I spent 20-some-odd years building my brand and going from the music world to being taken really seriously as an actor and a producer. I said, "There's no way. Call it Paul's Place, whatever you want. I'll fund it for you, but this is not going to happen." Then I thought, wait a second here. If we could really build a business, a real business, then that's something that I'm interested in. But we're going to do it in a big way. I want to be around to enjoy it. And so things kind of happened. Was the plan always for you to be this heavily involved in the show? You're featured as much as anyone else in your family. Originally it was like, OK, we're going to put my brother Paul and my mother and [my friend Johnny] Drama and those guys there. But I just said, you know what? I think to really give it the best chance to succeed—and again, we're talking about the business—I should be involved in every aspect. You've been savvy about featuring the other brands you're involved with on the show, like AQUAhydrate fitness water and Today I Can Do Anything (TICDA) apparel. At first, the network was like, "You're being a little blatant with your promoting your other business interests, and even the [Wahlburgers] business itself." I said, "Well, that's why I'm doing it." So then they were like, "Well, if you'll actually do more, then we should embrace it." And then we also have a lot of fun. Anytime I get to hang out with Drama and the guys, I'm having fun. Creatively, I was just saying, OK, I've got to really focus on storylines that I'm interested in and things that I want to get out there. How do you decide on which businesses and brands to get involved with? The theme is that all the businesses I'm involved with are businesses that represent who I am and how I live my life. Even if I knew there was a big upside monetarily, I wouldn't get involved with a vodka brand or something like that. It's just not who I am.